Very Good. Angels & Demons: Special Illustrated Collector's Edition (Robert Langdon) by Brown, Dan, 2005-05-03. Sewn binding. Cloth over boards. 528 p. Contains: Illustrations. Good. 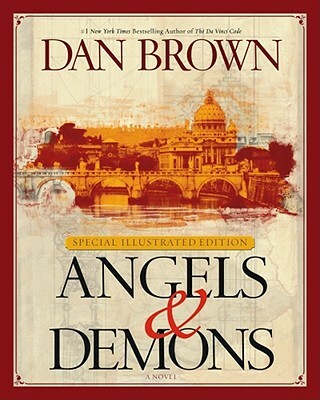 Angels & Demons: Special Illustrated Collector's Edition (Robert Langdon) by Brown, Dan, 2005-05-03. Sewn binding. Cloth over boards. 528 p. Contains: Illustrations. I truly believe that Dan Brown's "Angels and Demons" is written better than his more recent and more famous endeavor of a adventure "The Da Vinci Code". "Angels and Demons", provides a solid foundation of themes and plot structures (Politics, Science, a beautiful woman..) for his later work..but is far more gruesome, and if possible even more religious than the Opus Dei saturated "Da Vinci Code"
The illustrated version is beautiful, and makes the book far more comprehensive.